Who Does This Mixer Appeal To? Conclusion – Is The Mackie 402VLZ4 Right For Your Needs? Any musician will be able to tell you how important it is to have access to a good mixer. When you want to make the most out of your sound, you need to be able to mix the audio levels properly. Sometimes it is not going to be practical for you to tote a large mixer board around with you to gigs, though. For this reason, many of the top brands have created compact mixers that are very easy to use. The Mackie 402VLZ4 is one of the mixers that falls under this category. It is very compact and this makes it easy to take it around with you to different shows. Despite its compact nature, it can provide you with so many options. This is a fully-featured 4-channel mixer that will keep your instruments sounding absolutely perfect. It is definitely a good piece of equipment that any musician will be proud to own. Even though it is certainly a good value, you should still endeavor to examine things before making a purchase. This will allow you to see if this mixer is truly for you or not. There are many options on the market, and you want to get the right one that will give you the best results. Simply take the time to look at everything that the Mackie 402VLZ4 has to offer so that you can go into your purchasing decision with full confidence. As you would likely expect, this product is going to appeal to professional musicians. Any musicians who go out on tour will be able to make use of a high-quality mixer like this. It can be used to help keep your audio sounding as amazing as it possibly can. Making use of this mixer is easy, and toting it around with you should never feel like it is a big deal. If you have a unit like this to take on tour, then you will be able to make use of it for many purposes. This should be useful for musicians who play just about any genre of music, as well. Even some DJs will like what this mixer brings to the table. 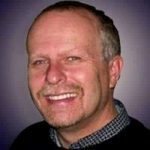 It is simple to use and offers many features in a small package. People who like to record and mix music from their home studios will be able to use this equipment, too. It will work out very nicely for anyone who enjoys tinkering with their sound from a creative standpoint. This will give you many options when it comes to mixing sound, and you should be happy with it overall. Getting it set up will always be simple, and it feels very intuitive to use. Small churches might also like using this mixer to help keep the audio in check for their multipurpose rooms or classrooms. This is actually a very common purchase for churches as audio is a really important part of the church experience. A high-quality mixer that is very affordable will be useful to just about any church that has live music or needs to amplify a public speaker. If you have been looking for a mixer that will work well for your small church, then this one is definitely worth a look. You will not be getting anything besides the mixer in the box. This is just going to be what you ordered, and you should not expect extra cables or other odds and ends. If you do need any extra cables or rigging, then you should order those separately. Think about what you need in order to properly use this mixer with your current setup. The features of this mixer are definitely very good overall. This 4-channel mixer features the signature Mackie high-headroom design that you know and love. It also operates very quietly so you will always be able to enjoy a low-noise environment when using this mixer. It should help you to get the proper sound out of all of your instruments that you are looking for. When you purchase this unit, you will be able to make use of 2 boutique-quality Onyx mic preamps. These work brilliantly and are one of the standout features. If you have been wanting to purchase a mixer based on how good the included preamps are, then you should know that these are really good. You will definitely be pleased with the results and how they can impact your sound. This mixer is also capable of improving RF rejection. This allows for perfect broadcast applications, and it is something that you will be making use of regularly. The compact design of this mixer does not sacrifice on quality. Both the performance and the durability of this unit are top-tier. The durability is especially good, and it lives up to the Mackie tagline of “built like a tank.” This is not a delicate mixer, so taking it on tour with you will not be a big deal. You can cart this around with you without having to worry too much about its safety. The practically indestructible steel wrap-around chassis is stellar, and it also has grime-resistant rotary sealed pots. The controls all feel very responsive, and they look great too. The colorful high-contrast knobs make it easy to use this unit even when there is not a lot of light present. This is perfect for dimly-lit venues where you may be playing a show. You’ll always have an easy time making use of this mixer, so it is definitely worth a shot for those who are in need. The Yamaha MG10 10-Input Stereo Mixer may be a better value for certain people. Obviously, this model offers more channels than the Mackie 402VLZ4. Aside from that, it is very similar in price. This is another good mixer that will be appealing to both professionals and amateurs alike. 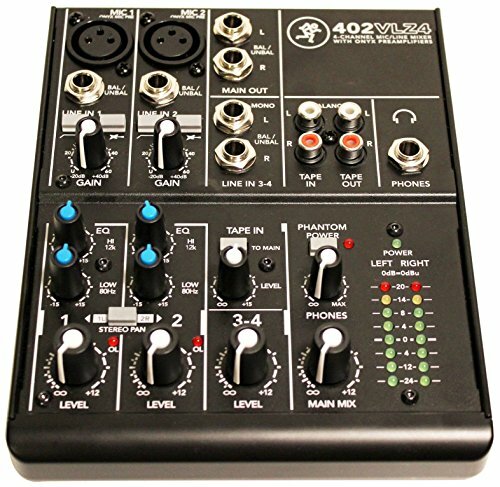 It offers studio-grade preamps and has a rugged design, so it really is quite comparable to the Mackie 402VLZ4. You can also check out our review of this 4 channel mixer. The Mackie 402VLZ4 is a fantastic 4-channel mixer that is worth your consideration. It is durable and compact, which makes it a perfect companion for a musician who is on tour. This is going to be a good purchase for an amateur musician or a church, as well. It gives you many great options and is always going to be very easy to use. The cost of this unit is actually very reasonable, too. One of the best aspects of this mixer is just how affordable it is. Justifying making the investment in this mixer is going to be pretty easy. It fits into most budgets, and it offers superior features when compared to mixers that are of a similar price.